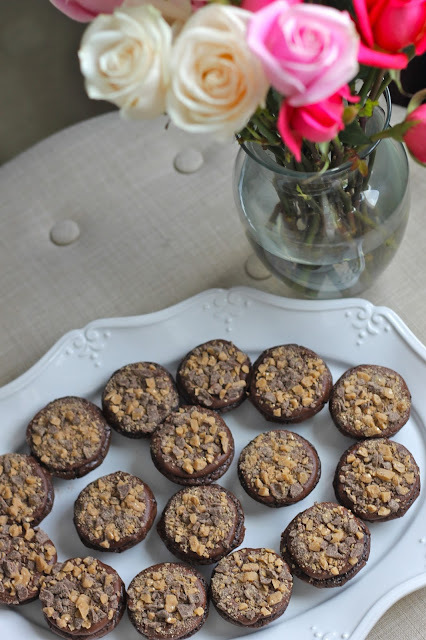 These Heath bar brownies were a hit and they were super easy to make. You just take a standard brownie recipe, pipe on some chocolate frosting (any recipe you like) and then put on Heath bar pieces. I bought the Heath bars crumbled up already in a bag, but you can also crush them yourself! You could also substitute the Heath bar for Reece's cups (or any other candy) if you prefer!